Camera types in three.js are CubeCamera , OrthographicCamera, PerspectiveCamera. We are using Perspective camera here . Attributes are field of view , aspect ratio , near and far clipping plane. Renderer uses a <canvas> element to display the scene to us. Step 6: . BoxGeometry object contains all the points (vertices) and fill (faces) of the cube. These have their properties like -id, name, color , opacity , transparent etc. 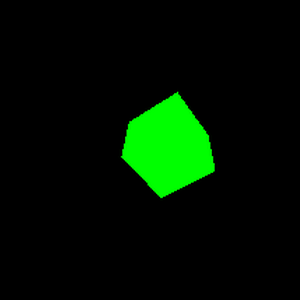 Use MeshBasicMaterial and color attribute of 0x00ff00, which is green. A mesh is an object that takes a geometry, and applies a material to it, which we then can insert to our scene, and move freely around. Step 9: By default, when we call scene.add(), the thing we add will be added to the coordinates (0,0,0). This would cause both the camera and the cube to be inside each other. To avoid this, we simply move the camera out a bit. 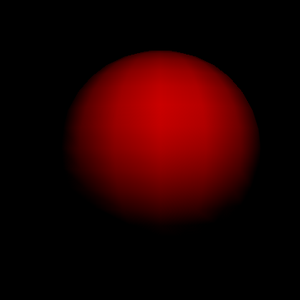 This will create a loop that causes the renderer to draw the scene 60 times per second. MeshLambertMaterial is non-shiny (Lambertian) surfaces, evaluated per vertex. Set the color to red . Create light , set its position and add it to scene as well . Light can be point light , spot light , directional light . This entry was posted in Augmented Reality and tagged Augmented Reality, cude, sphere, three.js, torusknot. Bookmark the permalink.